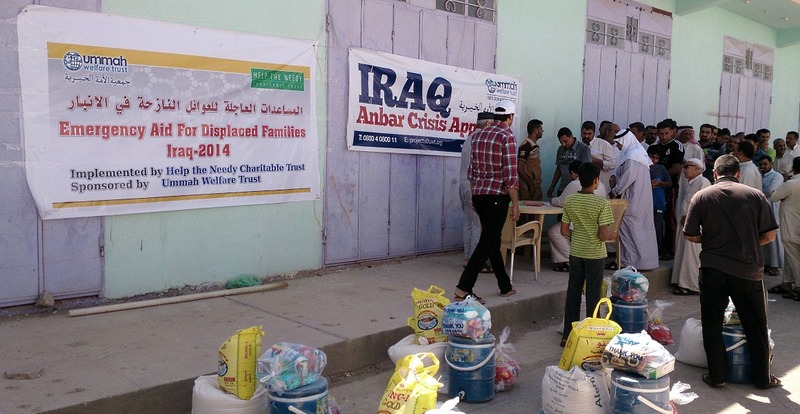 Once the heart of the Muslim Ummah, Iraq is now seen as a symbol of suffering. Over a million people lost their lives since the invasion in 2003. One million women became widows and five million children became orphans. This after 12 years of bombings and sanctions, which killed an estimated 1 million Iraqi children and destroyed the lives of many others. More than two million are still homeless within the country. The great majority of these are women, children or elderly people. They live in makeshift shacks and have little access to food, employment and basic services. They are particularly vulnerable in today’s post-invasion Iraq. Now a sick and debilitated nation, Iraq faces huge problems. The legacy of sanctions, conflict and neglect has led to a situation where issues concerning food, shelter and healthcare require a massive humanitarian response.